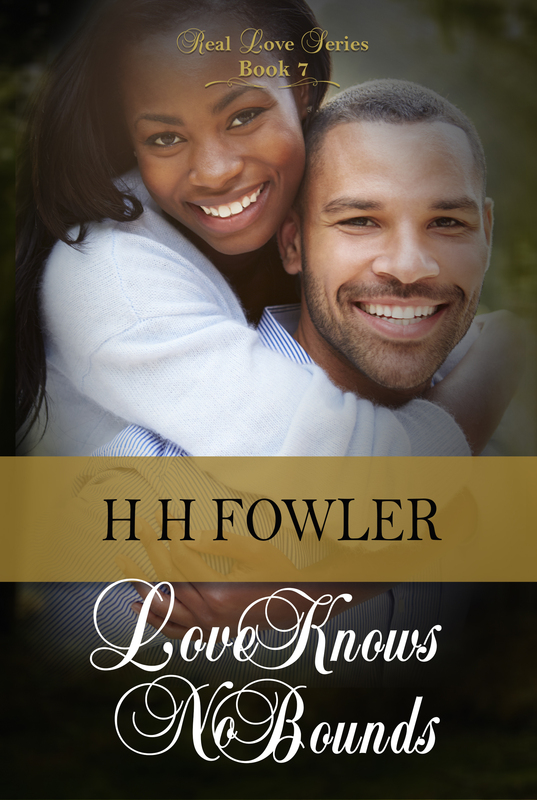 H H Fowler is an Amazon Bestselling Author of more than 10 novels, including the Church Boyz and Church Gurlz series. He lives in the Bahamas and enjoys spending time with his family. 20 THINGS ABOUT H H Fowler! 1) Conceived in the chills of Switzerland, but Fowler's parents journeyed back home to the Bahamas where he was born and reared a Caribbean product. 2) A cosmopolitan at heart, Fowler's interest in the power of writing was ignited at the impressionable age of 13. 3) His first poem, inspired by his Literary teacher was published at age 14 by a recognized publishing company in Washington D.C. 4) Fowler plays both the piano and the drums. 5) Married since 2003 to the same woman. Together, they have one son and twin girls. 6) Loves to watch HGTV. 7) Worked in the banking system for over 12 years before venturing into writing full-time. 8) Did I mention that he is a full-time writer? 9) Agatha Christie, John Grisham and Jerry B. Jenkins are some of his favorite authors. 10) Youth leader at his church. 11) Graduated from college as the valedictorian and was selected to speak on behalf of the graduates. 12) Reads about three books a month. The remainder of the time is spent crafting his next bestselling novel. 13) Completed his first novel by the age of 21 (He was born in 1979, so you do the math). 14) More of an introvert, but very easy to make friends 15) He is a Christian and was raised in a Christian home. 16) Pasta, white rice and steamed pork chops are some of his favorite foods. 17) Dated his wife for six years before they were married. 18) Six years flew by before Fowler and his wife had their first child. 19) Imitation of Life is one of his favorite movies 20) Plans to write 100 novels before he retires. On the living room floor of the Winthrops’ pristine residence, blood spread quickly from two bodies: those of Apostle Magnus Winthrop and Netty Edmonds, one of his accomplices who’d defected from her loyalty toward him. It would appear that both of them had succumbed to the bullet wounds inflicted during their violent scuffle. And now the plan to destroy Magnus’ wife seems to have come to a screeching halt. But Magnus has a lair of accomplices still hellbent on proving their loyalty to him. Will they be able to carry out the plan without Magnus. Meanwhile, Erica Winthrop, Magnus’ wife, is fighting her own lustful demons with Dean Ripley, who is confident that Erica will give in to his sexual advances. Things between them began to heat up at a concert and by the time they left the premises, they were both giddy with anticipation. Unbeknownst to them, one of Magnus’ henchmen is in hot pursuit to catch the action on camera. He secretly follows them to the Bristol Reef Hotel, which is infamously known for clandestine one-night stands. Will Erica cross over into the forbidden, knowing that the consequences of her actions could set in motion the nastiest scandal the island has ever experienced? As if that isn’t enough, the residents of the small island of Barracuda Cove have fallen prey to the encumbering forces behind gambling, sexual sin and religious desecration. First Family Worship Center is the only church on the island, which should have been a place of refuge, but the congregants have been deceived by Magnus into a false sense of spiritual security. But in a divine twist of fate, Magnus’ son, Tavian Winthrop has been identified as a change agent. A spiritual revolutionist who vows to confront the sins his father had perpetuated. Will he succeed in his assignment? Brace yourself, as you are about to reenter the cataclysmic world of the Winthrops, which will conclude with the saddest showdown between good and evil ever recorded in the history of the island. Wow, I’ve been meaning to keep this blogsite updated but it is a challenge. However, I want to wish all of you a happy and prosperous New Year and pray that all of your New Year’s resolutions come to fruition. I would like to mention that this year looks to be a fruitful year for me in the publishing industry. I’ve recently partnered with an awesome publishing company and my twenty-seventh book, which will be my first book represented by this company, will be out shortly. It’s titled, “My Husband’s Secret”. Please be on the lookout for it. So, I will certainly be busy, lol, more so than the previous years. But I thank God for affording me the opportunity to live my dream. And I thank Him for surrounding me with such awesome supporters. May God bless your sock off in 2017! STAY TUNED! You’re about to experience the ride of your life! Book 7 – The Finale (Real Love Series) Scheduled to be released 19th September, 2015. A refreshing twist will come to the residents of Devin’s Cay. Save the date on your calendar!